HomeBitcoins: The Future of Currency? Over the past several years, a digital currency known as Bitcoin (also known as BTC’s) has taken the world by storm. The virtual currency – which can be accessed as physical coins or solely through peer-to-peer trading at other Bitcoin websites – can now be used to purchase many different goods and services and is the most widely used alternative currency. Many restaurants in New York City accept BTC’s as a payment method, along with sites such as Reddit and WordPress. The security of the currency itself is what makes it extremely appealing, especially when only YOU the user has access to its unique digital signatures and encrypted passwords. The use of it is already expanding rapidly on a daily basis. This sector also includes online gambling. Bettors can now buy Bitcoins and wager anonymously at certain online poker rooms, sportsbooks and casinos. This is not a small industry. The top Bitcoin casino reported profits of around $600,000 in 2012 and as more and more people are turning to BTC’s to gamble online, options are increasing. 05/03/2014 Update – mBit Casino review added; first licensed bitcoin online casino in the world. 04/03/2013 Update – Seals With Clubs review added; SWC remains TOP Bitcoin poker site in USA. The idea of Bitcoins were rumored to first be introduced by a Japanese man, Satoshi Nakamoto. An article was published by Nakamoto in the Cryptography Mailing List at metzdowd.com which described the implementation of the Bitcoin Protocol. Although, it turns out that Nakamoto was an alias for the person(s) who designed the original Bitcoin Protocol. No one truly knows the identity of the person or group of people who invented Bitcoins. An investigation by The New Yorker into the identity of Nakamoto came up empty. In 2009, the Bitcoin network first came into existence and offered users an open source Bitcoin client. A year later, users at the Bitcointalk Forums set the original market price. Soon after, Bitcoin exchange sites began popping up, and the currency began to be used in small numbers. This type of currency is unlike most out there, being that it does not have a central bank and operates via a peer-to-peer marketplace. The supply of Bitcoins is automated as to not flood the market. Bitcoins can be divided up to 8 decimal places as value increases. Under current rules, Bitcoins have a hard cap of 21 million. 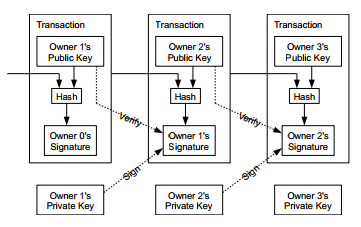 Bitcoin addresses are a series of numbers and letters that range between 27-34 characters. These are used as possible destinations for Bitcoin payment. Addresses are fully anonymous and can be generated at no cost. Users can have an unlimited amount of Bitcoin addresses. Many experts recommend using a unique address for each individual transaction to increase security. Bitcoin address can be generated automatically by many Bitcoin brokers and marketplaces. Bitcoin wallets will assign an address to each user’s account. It is crucial to note that addresses will change frequently and should be verified before each transaction. Users have run into trouble when using old addresses only to find the address inside their account has been updated. BitInstant: The fastest way to receive Bitcoins. Users can purchase coins through a variety of options and remain anonymous. Deposit cash at over 800,000 locations across the world and have Bitcoins within an hour or less. Fees for BitInstant are more than other services and are priced at 3.99% of the total amount exchanged. Visit http://www.bitinstant.com today for more information. Coinbase: A Bitcoin wallet that allows users to buy and sell Bitcoins. Customers can buy and sell almost immediately but are limited to 10 BTC for the first month, after which they can buy up to 100 BTC in a single transaction. Coinbase only charges 1% of the total transaction and is one of the cheapest ways to purchase coins. Visit http://www.coinbase.com for added info. As the popularity of Bitcoins has risen to a global level, there are a number of sites taking Bitcoins as their form of currency. Due to the anonymous nature of Bitcoins and legal concerns regarding online gambling, gambling operators may choose to remain anonymous along with their customers. Bitcoin online gambling is especially helpful to users who are in jurisdictions that limit or outlaw online gambling sites and their subsequent financial transactions. The use of Bitcoins for online gambling is a grey area legally in many countries, but would be nearly impossible to outlaw or control due to the nature of Bitcoin. This offers online gamblers a virtual currency that can be anonymously transferred and comes with almost no fees for withdrawing. Bitcoin online gambling is emerging as a new popular alternative to traditional online gambling methods. A number of Bitcoin Casino sites have popped in recent years. These casinos offer better odds than most traditional online casinos and fast deposits and payouts via Bitcoin. BitZino, a Bitcoin casino paid out 29,000 BTC last year on 3.2 million wagers. Strike Sapphire (not available to US customers) offers players a small deposit bonus and up to 18% cash back. There are rumors of larger brands expanding out to accept BTC’s down the road and we’ll be listing them here as more information becomes available. Seals with Clubs are the top Bitcoin poker room and have grown rapidly since the US government’s legislation against online gambling operators. US players are welcomed here, especially since most of its traffic is coming from North America anyways. Seals with Clubs averages several hundred players online during peak hours and offers rake lower than any other poker room, even online poker giant, PokerStars. Payouts are extremely quick and are usually processed back to Bitcoins addresses in a few hours or less. Sports betting sites dealing in solely Bitcoin have popped up, as well. BTC Sportsbet is the most trusted Bitcoin bookmaker and offers odds on nearly every sport in the world. US players are accepted and there are no fees for withdrawing and depositing. BTC Sportsmatch, owned by the same company offers players a Bitcoin betting exchange. Though it lacks liquidity at times, the exchange offers the best prices on the planet. Bitcoin is rapidly becoming more popular across the world. As of early 2013, the total value of Bitcoins in circulation around $700 million USD. While Bitcoin value can fluctuate wildly, the currency as a whole has increased in value exponentially since their inception in 2009.